If you know me, you know I am passionate about things/products that I find and love. I am pretty brand loyal. It's a little obnoxious. BUT, if it is something that helps me, or my family, I feel like it could help someone like me....so...I share it. Why keep it to myself? Here is a small list I have compiled of things that I have personally been reading, using, loving, and just generally crushing over lately. I PINKY PROMISE never to endorse or recommend something that I don't absolutely love. 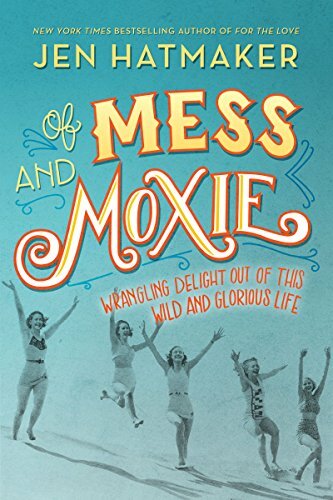 Jen Hatmaker's new book, "Of Mess and Moxie". LADIES. Jen Hatmaker is straight up honest, hilarious, and full of truth bombs. I am on chapter 8 and I have laughed, cried, and laughed until I cried a couple times. I read her last book, and loved it, so I knew this was an obvious next read. I am linking it below on Amazon because this is the cheapest I have seen it yet. I paid $20 for mine, I think. She talks about marriage, family, faith, kids, parenting......it's just good. There have been so many moments where I have almost cried because she describes something that I have been feeling that noone else will tell you, and it is so accurate. Do yourself a favor and read it. You won't be sorry. Between myself, my children, and my radio, my phone is constantly getting used. 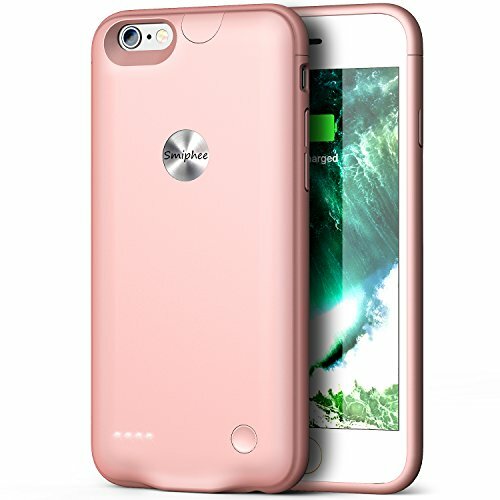 So, I started looking for a charging case that didn't weigh 10 pounds and look like a brick. This thing is legit. It is slim, user friendly, and the price is great compared to it's competition. I actually had to contact their customer service and they were amazing, too. I ordered this rose color, but Scott has the blue, and I think it comes in black, too. Four year old and two year old both FIGHT ARGUE AND TANTRUM over who gets to play with the tiles. It is the prized toy right now, and has been for about two months. If you have more than one kiddo, you might discover that two sets is better than one! It's a pretty fun little activity to do with them, too. 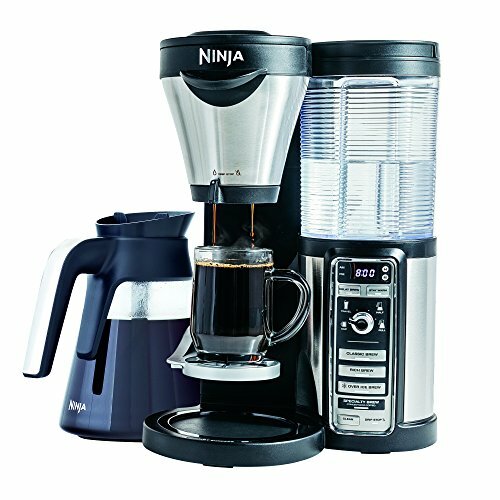 If the Keurig and the average coffee maker had a baby, it would be this-Ninja Coffee Bar. I was getting tired of having to descale my Keurig constantly, it would stop working, and the coffee resembled more brown water than coffee. Listen, I don't mess around with coffee. It is absolutely vital for my daily function. I did some research and landed on this baby. I asked around and found out that so many of my friends were using this AND TOTALLY HOLDING OUT ON ME! You have the option to make an entire pot of coffee, half of a pot, thermos "to-go" size, or a single cup. The actual machine is SUPER user friendly. The water canister is easy to take out and fill up at the fridge, and the top filter area pulls out, instead of lifting up. So you don't have to slide the coffee pot out from under the cabinet every time you need to make coffee. Because things like this are important. It also comes with a frother, and a recipe book of specialty coffee that you can make. I haven't ventured into this world yet, but I hear it is life changing. Life has been kind of heavy lately, personally and nationally, and I just needed to make a light/fun post today! I hope you enjoyed reading and maybe found something to treat yourself! Are any of these things your favorites, too? What are some of your favorite things that I should try? Let me know in the comments! Until next time!